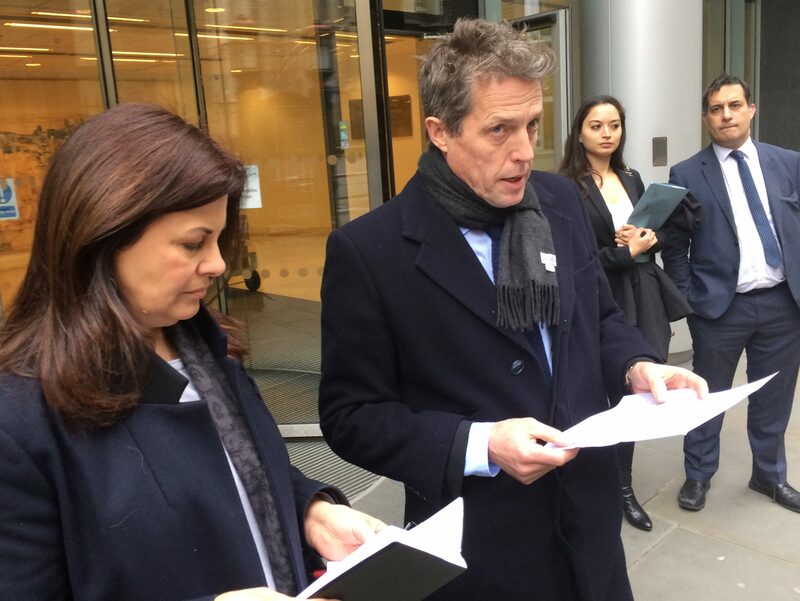 Actor Hugh Grant and former police officer and Crimewatch presenter Jacqui Hames have settled their respective phone hacking claims today with both calling for the government to press on with Leveson Two. Mirror Group Newspapers, owned by Trinity Mirror, apologised for the “unlawful interception of voicemails and procurement of private information” against Grant in a statement read out in the High Court. 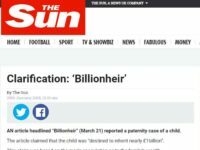 Some of the illegal activity, which included “blagging” information from companies and surveillance tactics, took place over a ten-year period across the Daily Mirror, Sunday Mirror and Sunday People newspapers. In a statement read out in court, MGN said it accepted the illegal actions taken against Grant “should never have happened”. 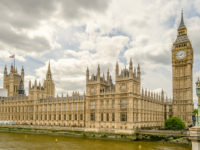 The publisher said it “acknowledges that was morally wrong and deeply regrets the wrongful acts of its former employees which caused damage and distress to those affected, including the claimant”. The court was also told that as part of the settlement with Grant, MGN “admits that a number of its senior employees, including executives, editors and journalists, condoned, encouraged or actively turned a blind eye to the widespread culture of unlawful information gathering activities at all three of its newspapers for many years and actively sought to conceal its wrongdoing from its many victims of intrusion”. Grant received a six-figure damages payout, all of which he said he had donated to campaign group Hacked Off, who supported his case. Speaking outside of court today, Grant said the case was “not just about what they did to my phone and those close to me”, but that he had been “determined to uncover the truth” about illegal activity at MGN. He said today’s litigation “made clear that phone-hacking and other unlawful information-gathering took place on an industrial scale at the Daily Mirror, Sunday Mirror and Sunday People”. Grant said Trinity Mirror had “concealed ten years of criminality”, adding that the second part of the Leveson Inquiry “must take place – to get to the truth and discover who broke the law and who lied about it”. Hames received an apology and damages, understood to be in the tens of thousands, from News Group Newspapers, part of News UK, for carrying out voicemail hacking and intrusive surveillance against her at the now defunct News of the World newspaper. The illegal activity against Hames also extended to her police officer husband, David Cook, and was carried out during the time they were investigating the murder of Daniel Morgan on Crimewatch in 2002. Morgan, a partner with private investigators agency Southern Investigations, was killed with an axe in 1987. His murder remains unsolved. Southern Investigations was later found to have had widespread illegal dealings with the News of the World newspaper. Morgan’s brother, Alastair, was said to have been in court to hear the settlement today. The court heard how the News of the World had “wrongly alleged” that Hames was having an affair with Cook while they were working together on BBC Crimewatch program investigating Morgan’s murder. “In reality there was no story, for both Hames and Cook were very public about their marriage and by 2002 they had two children together,” Hames’ solicitor Anna Johnston said. Hames said she had suffered “acute distress and anxiety” following the action taken against her by News of the World and had “received medical treatment in relation to the press intrusion she encountered”. In a statement to the court, News Group Newspapers said it offered its “sincere apologies” to Hames “for the damage, as well as the distress, caused to her by the obtaining of her confidential information and harassment”. Hames told press outside the court: “To think that they undertook surveillance and harassment of myself and my family at a time when my husband was investigating a notorious murder and in fact that company had links to the suspect in that murder is nothing short of appalling and deserves so much more scrutiny than has been given now. “This is clearly an industry wide problem which requires Part Two of Leveson to get the full scope of criminal activity but activity that is disrupting the lives of people unnecessarily. “The government appear to be supporting the news corporations in court but failing to follow through with part two and once again we have the press being judge and jury on their own court. Mirror Group Newspapers also settled phone hacking claims against actor Ralf Little and former Southampton FC executive chairman Rupert Lowe.